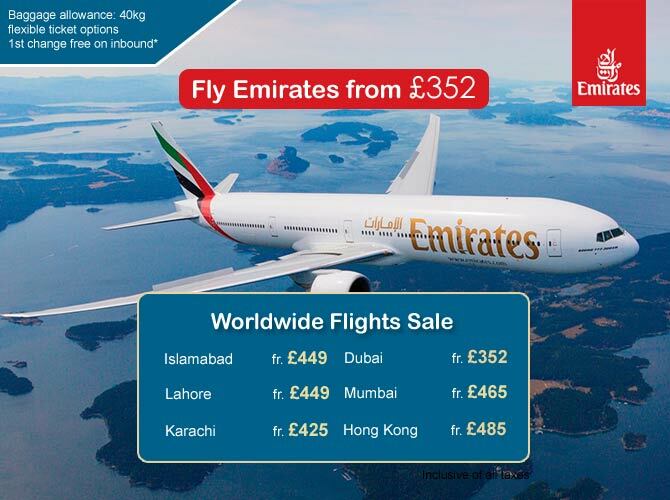 Below table shows current prices for the most popular PIA flights to Pakistan, Emirates, Qatar and Etihad from Manchester, Birmingham, Leeds and London Heathrow. If you require a flight from any other airport please contact the office directly. 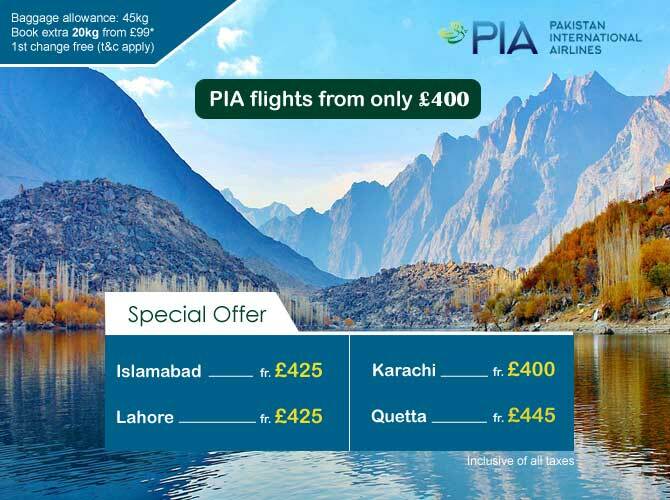 PIA serves 23 domestic destinations and 36 international destinations in 25 countries across Asia, Europe, North America as of September 2009 from its home bases of Karachi, Lahore, Islamabad and Peshawar Pakistan's Second most popluar airblue flights to pakistan. The airline was established in 2003 and started operations on 18 June 2004 with 3 leased Airbus A320-200 aircraft serving Karachi-Lahore and Karachi-Islamabad with three daily flights in each direction. The airline was inaugurated by the then Prime Minister of Pakistan, During the first year the airline became very popular, which allowed the airline to compete directly with the flag carrier PIA and the two other private carriers. 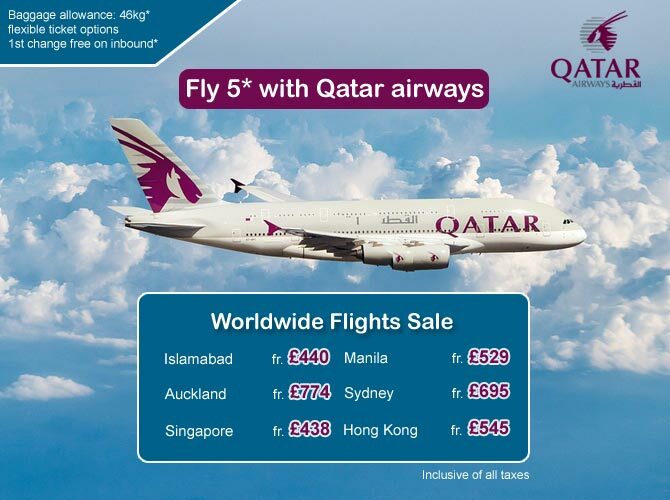 This allowed the airline to expand into more cities in Pakistan including Peshawar, Quetta and Nawabshah. On 14 August 2005 (Pakistan's 58th Independence Day) Airblue launched its first international flight from Karachi to Dubai. On June 4, 2007, Airblue launched its inaugural flight to Manchester using the Airbus A321. 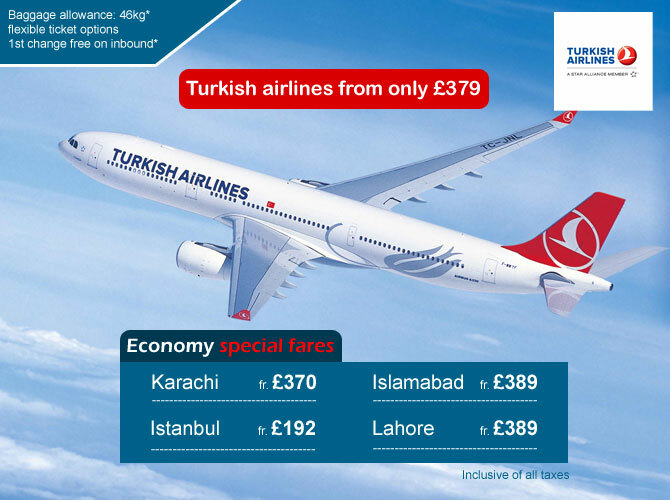 We have hundreds of fares to pakistan please call us with your requirements, remember "the early you book the cheaper you fly" if your looking to travel from London there are many airlines to chose from including Gulf Airlines, Kuwait Airways and if your travelling to Karachi why not try Turkish Airlines. Great Fares all year round. Mushtaq Travel are able to service any type of flight enquiry whether its cheap flights to pakistan or flights to the usa, caribbean or malaysia. With Mushtaq Travel our customers no matter which city you are calling from can book flights with the peace of mind guarantee that they are booking directly with an appointed travel agency with around 30 years of experience in the travel industry. Pia depart from almost every major Uk airport including London Heathrow with daily flights to Islamabad, Lahore and Karachi direct and indirect flights from London Heathrow to Peshawar via Islamabad and Karachi, Multan, Quetta, Sukkur, Sialkot, Hyderabad, and various other connections to domestic airports from the north to the south, There are connections to nearly every airport in Pakistan for international travelers can connect to any of the listed regional airports with most having short connections from the Major PIA Hub in Karachi.